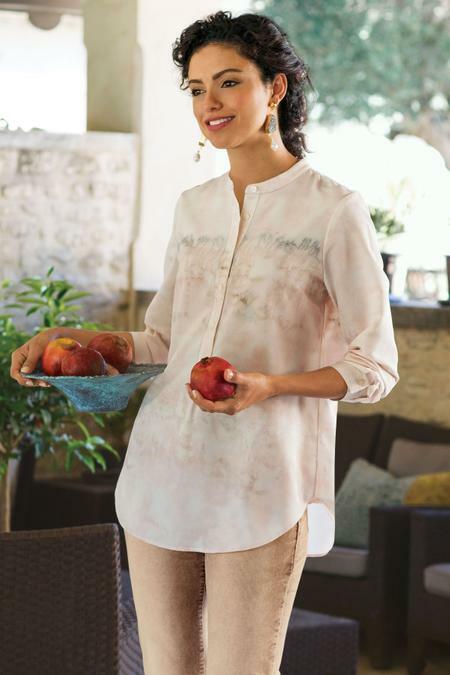 This lovely shirt looks equally amazing with slim skirts or skinny jeans. Its delicate, subtle tie-dye design gives an overall updated aesthetic that is feminine and sophisticated at the same time. Flowy crepe fabric and a mandarin-band collar add to its soft allure. Poly. Misses 29-1/2" long.